Our LinkedIn-group just reached a digital milestone as we are now 100 members. I would like to thank all of you who have made this possible by applying to the group and I also recommend everyone to spread the word to friends and colleagues who might be interested in lightweight applications at sea. We hope to continuously increase the number of active members online, with the goal of information sharing and knowledge exchange taking place on LinkedIn as well as at our annual events. Speaking of events, together with RAMSSES we are currently planning our next joint event for January 2019. Unlike what was announced before, it will be organized in Piteå, Sweden and not in Bremen. The event (including an industry tour) will take place somewhere between 22 – 25 January, unfortunately the exact date is still up for discussions but please save the dates while we complete the final details. I promise to get back to you as soon as possible on exact location, date and of course the agenda. In what we are hoping will be a tradition to follow, all registrations for the event (E-LASS and RAMSSES alike) will be made through our joint registration form soon to be published on our website. A complete program for our seminar day will also be available soon. However, worth knowing is that the primary “topic” of the event will be on technology transfer and also rules and regulations. If you wish to present something at the seminar, please send an e-mail to alexander.hertzberg@ri.se with a short description of your presentation. As always, the guideline for E-LASS presentations is “not too commercial, not too scientific”. Table top sponsor – Bring marketing materials (brochures or leaflet) and put it on a table for everyone to see. Seminar sponsor – Company name and logo included in the seminar program. Digital sponsor – Company name and logo visible at our E-LASS event webpage. Lunch sponsor – Company mentioned before lunch and also visible in the form of signage at the tables. 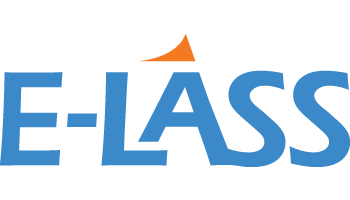 All-inclusive sponsor – Make your company name and logo visible at every table during E-LASS lunch, in the seminar program and at our E-LASS event webpage. You are also welcome to bring marketing material and we will provide you with a table for this. For practical reasons the number of sponsors must be limited which means first come first served. For any questions regarding the event, feel free to contact me at any time.